This game was a snoozefest, but a snoozefest in the best way possible. The story, of course, was the newest addition to the Cubs’ rotation, Cole Hamels. 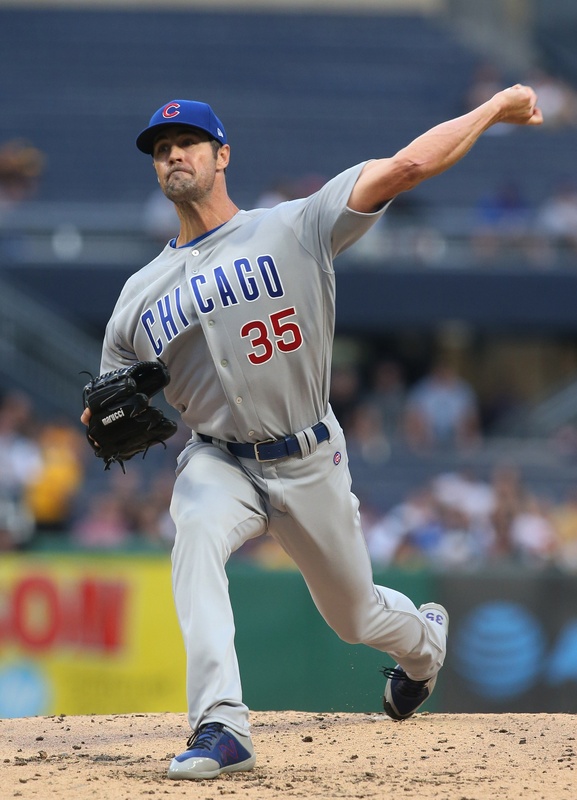 Just over three years after no-hitting the Cubs back on July 25th, 2015, Hamels made his debut in Cubbies pinstripes. The 2018 version of Hamels is a little older and a little less dominant, but right now, the Cubs don’t need dominant. They need stability, and if Wednesday’s contest is any indication, Hamels will provide just that. While Hamels was the story of Wednesday night’s affair, this game was over before he even touched the rubber in the bottom of the first. The Cubs took advantage of Pirates’ rookie Nick Kingham’s first inning woes (8.18 ERA in the first inning; 3.67 in all other innings) by manufacturing four runs in the opening frame through a mishmash of base hits, walks, fielding errors, and hit by pitches. Hamels, when he finally did take the mound about an hour after the first pitch, was masterful through five innings, fanning nine Pirates and allowing just one (unearned) run. Although the high pitch count was a bit Chatwood-esque, he was in total control, keeping the Pirates off balance with his signature changeup and earning plenty of swings and misses. If it wasn’t vintage Hamels, it was a reasonable facsimile, and given the state of the Cubs’ pitching, that’ll be good enough. When it was all said and done the Cubs put five more runs on the board, winning 9-2 and splitting the two-game set with the Buccos. Hamels struck out nine and allowed zero earned for just the 10th time in his career and the first time since May 6, 2016. The adrenaline was certainly flowing for Hamels in his Cubs debut; he averaged 93.8 MPH on his four-seamer on Wednesday night, compared to the 91.7 MPH he’d averaged on the pitch prior to joining the Cubs. Hamels’ changeup is for real, and it’s going to rival Kyle Hendricks for best on the staff. Prior to this start, the 45.5 whiffs per swing on the pitch ranked second in MLB (min. 200 pitches). In this game, he threw the pitch 27 times, second-most of any of his starts this year. After knocking in another run on Wednesday, Javier Baez has 83 RBI this year; he had 75 all of last season in 40 more games than he’s played in 2018. The last Cub to post 83 RBI by August 1st was Derrek Lee in 2005. Jason Heyward continues rolling, with another three-hit effort, his ninth of the year. For context, he had just four games of 3+ hits all of last year. Up Next: The Cubs look to maintain their spot atop the NL Central as they return home for a four-game set against the Padres.